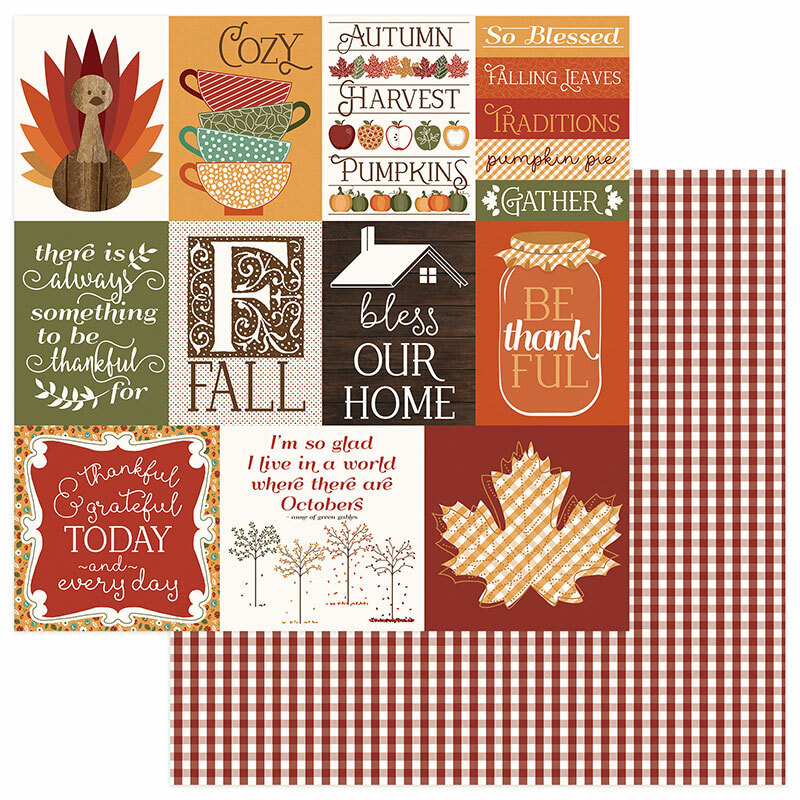 This 12x12 double sided papers has an assortment of 3" x 4" and 4" x 4" Journaling Cards. Use them to embellish your Craft Project or simply make 'cards' as your base. The reverse side has an Berry Gingham Pattern. Look for other coordinating Autumn Orchard Designer Papers and the Element Sheet. Autumn Orchard Collection by Photo Play Paper.